Adding your own Watchlists can help you to more effectively track the stocks you are interested in. Create watchlists for a sector or market cap size. Have watchlists for over/under weighted stocks. StockMarketEye does not limit you on how many watchlists you can have, nor how many stocks you can have in a watchlist. Type a name for your new Watchlist in the field labeled Name. The name you use can be anything you want, but every Watchlist must be named differently. You may also add a description of your Watchlist in the Description field, but this is optional. You can modify the name of a Watchlist by double-clicking on its name in the list on the left. 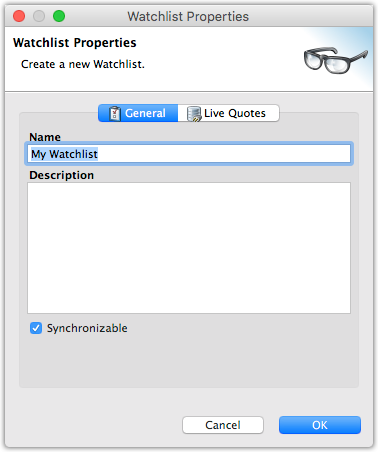 This will display the “Watchlist Settings” window where you can change the Name and Description of your Watchlist. When a watchlist is deleted, all of the stocks in that watchlist are also deleted. 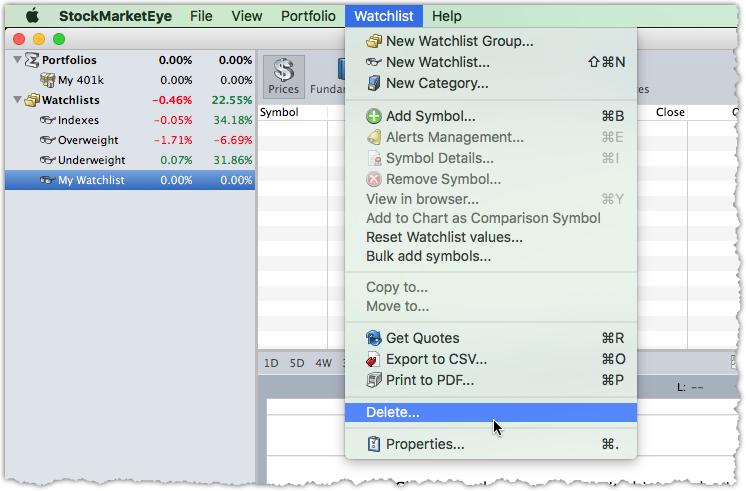 Deleting can not be un-done, so you need to confirm that you want to delete the watchlist before StockMarketEye will actually delete it.